• Playzee Casino Review - A Fun And Friendly Place To Spend Your Time? Playzee is yet another new online casino from the folks at White Hat Gaming who are responsible for sites like SpinRider, Slot Planet, Spinland and Dream Vegas Casinos among others. If you are familiar with any of these you will have some idea of what to expect from Playzee, which was launched in 2018. 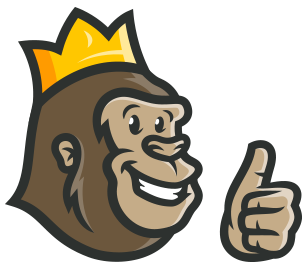 You will find a huge selection of games, secure licences and a fresh and attractive site design among others – all things which make our Casino Gorilla a happy chappy. Let’s see where this ranks among their recent online casino offerings. In common with many of the other White Hat Gaming casinos, there is a hefty chunk of change advertised for new joiners. Here at Playzee Casino new joiners can take advantage of a bonus which goes up to a maximum of £300 along with 100 ‘Zee Spins’ and 500 Zee bonus points as well. It sounds like a very attractive deal, but as often happens when the Casino Gorilla started digging into the terms and conditions, it is not quite as pretty a deal as it first appears. After making your first three deposits at Playzee you will earn a total of 100 bonus spins, which can be used on three popular NetEnt slots. As we mentioned above, the negative point is that there is a limit of £50 which can be won from each set of spins. Bonus spins have to be used within 24 hours or else they disappear, so don’t hang about. The first 100 come in batches of 10 over ten days. Don’t worry about remembering bonus codes when you want to claim your welcome bonus offer from Playzee, as no code is required. There are other daily promotions available as well, but you are just asked to opt in to these ones rather than to enter a special bonus code. The live dealer game selection is not as vast as that of the video slots – it would be a world-record holder if that were the case! However, there are 17 tables to choose from and they provide enough variety to compensate for the fact that there aren’t all that many of them. Roulette, blackjack and baccarat are all present and correct, so your classic table games are covered. Plus there is 3 card poker, Caribbean poker, Casino hold ‘em, Dragon Tiger and Dream Catcher, all streaming live to your device and featuring their own real-life dealers. Playzee not only functions perfectly on mobile devices, it also looks great on the small screen too. This site is optimised to allow you to play all of your favourites no matter where you are so you never have to miss out on the action. Whether you are an Android aficionado or an iOS idoliser, this casino will work just fine for you. You can also continue to collect Zee points in the loyalty plan playing on phones or tablets, just as you would while playing on a desktop computer. Also good to know is that if you are playing on your phone and a call comes in the game will be paused. Gaming licences from the UK, Malta and Sweden together make this one of the safer online casinos around. They have to maintain high standards to hold onto those important licences so there will be no funny business at Playzee Casino. Games are regularly tested for fairness and all data is fully protected by the latest encrypted software. Hit the ‘Contact Us’ button and you will be taken to a new page with contact details as well as an FAQ section. The FAQs take you through the journey from opening an account through deposits, withdrawals and all the other important stuff you need to know. If you need an answer specific to your account, then get onto the Customer Support team via either live chat or email. The friendly and professional team is available 24/7 to help you out. Sadly, not everybody will be able to play at Playzee. If you live in one of these countries then you will not be able to access this casino: Australia, Bahamas, Belgium, Bulgaria, Cuba, Denmark, Ecuador, Estonia, Ethiopia, France, Hungary, Indonesia, Iran, Iraq, Israel, Italy, Kenya, Latvia, Lithuania, Poland, Portugal, , Serbia, Singapore, Slovakia, Slovenia, South Africa, Spain, Sri Lanka, Turkey, Uganda, United States. This is not the full list of restricted countries, so check the terms and conditions for the complete listing. Playzee Casino is a fresh and fun online casino that welcomes you in with a kaleidoscope of colours. There is a marvellous selection of casino games to choose from, including hundreds of slots and a varied selection of live dealer casino games. Not only does it look good, but this casino is also very secure and trustworthy. 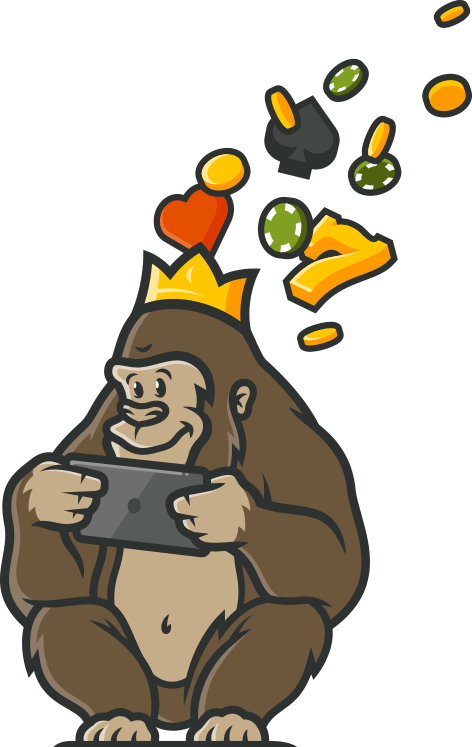 The Casino Gorilla is mostly positive about this site, with the one cloud on the horizon being the wagering requirements to release the bonus, because these are just too high! Apart from that, Playzee is a fun and friendly place to enjoy some quality casino games. The loyalty program here is one of the best. Great free bonus offers and fun games. I spend hours at a time playing here and will keep coming back. The loyalty system is great and I also appreciate the daily promotions that they give. A good opportunity to make some money if you ask me. I just wish the sign-up process and the withdrawal would be a little faster.